ABSTRACT. As urbanisation continues takes place, the management of solid waste is becoming a major environmental and public health problem in urban areas. In 2013, solid waste generation in Sabah was 2,062 390 kg/day where the values increase year by year where the waste generation rate in Sabah is 0.7 kg/capita. The amount will keep increasing without the improvement of linkage between government, local councils, collection service providers, traders, recycling centre operators, non-governmental organizations and related stakeholder in planning a proper solid waste management. This paper presents an overview of the solid waste management practices and challenges in Sabah respectively. There are about 23 local authority which responsible in collecting of municipal solid waste from commercial, institutional and residential areas, sweeping of roads and footways, beach and river cleaning and minimization of waste. The solid waste management is involved generation, storage, collection, processing, transfer and transport, disposal and treatment. However, uncollected area, immigrants, squatter villages and lack of human resource and finance has become the challenges to local authority in handling the solid waste management. Thus, solid waste should be manage efficiently due to sustainable environment and create a better quality life. Agamuthu, P., Fauziah, S. H., Khidzir, K. M., Aiza Noorazamimah. 2007. Sustainable Waste Management-Asian Perspectives Proc. International Conferences on Sustainable Solid Waste Management, 5-7th Sept, 2007, Chennai, India. Pp. 15-26. Chua, K. H. 2006. Effort and Initiatives to Enhance Cleanliness in the City of Kota Kinabalu. Paper presented at the Fourth Sabah-Sarawak Environmental Convention, Le Meridien Hotel, Kota Kinabalu, Sabah, 5th Sept 2006. DOS. 2010. Population Distribution by Local Authority Areas and Mukims.http://www.statistic.gov.my|http://www.statistic.gov.my accessed on 25 July 2013. Eric, J., Yabi, Y., & Carsten, H. L. 2000. A Report on the State of the Environment in Sabah 2000. State Environment Conservation Department Sabah. Paper presented at the Environmental Convention Kuching, Sarawak. 29-30 June 2000. EPU. 2006. Ninth Malaysian Plan 2006-2010, Chapter 19: Energy and Chapter 21: Urban Services, The Economic Planning Unit. Prime Minister’s Department, Putrajaya. HMGN & MoPE, 2003. Nepal Population Report 2060. Published by His Majesty’s Government of Nepal (HMGN), Ministry of Population and Environment (MoPE) in Nepal. Juin, E. 2001. Keynote Address on Environmental Management in Sabah: Issues and Challenges. Paper presented at the 6th Sabah Inter-Agency Tropical Ecosystem Research Seminar. 13-14 Sept 2001. Kota Kinabalu. Latifah, A. M., A., Samah. M.A.A., & Nur IIyana M. Z., 2009. Municipal Solid Waste in Malaysia; Practices and Challenge. Journal Waste Management, 29: 2902-2906. Law of Malaysia Act 672. 2007. Solid Waste and Public Cleansing Management Act 2007. National Solid Waste Management Department. Lim, P. S., Mohd Iskandar, M. A., & Laugesen, C. H. 2002. Solid Waste Disposal in Sabah; Survey Report. Environmental Conservation Department, Sabah. LGD. 2005. National Strategic Plan for Solid Waste Management. Ministry of Housing and Local Government. Mohammad Raduan Mohd Ariff, 2000. Strategi Pembangunan dan Pola Perubahan Petempatan Kampong Air di Pulau Borneo. Beriga, 68: 41-59. Ministry of Housing and Local Government, 2013. Statistic on Average of Solid Waste Generation in Each State. http://www.kpkt.gov.my|http://www.kpkt.gov.my accessed on 15 October 2013. Ministry of Housing and Local Government, 2013. Landfill Site by State (Operating and Non Operating. http://www.kpkt.gov.my|http://www.kpkt.gov.my accessed on 15 October 2013. NSD. 2012. Strong Economic Growth for Sabah. http://www.statistic.gov.my|http://www.statistic.gov.my accessed on 5 July 2013. Ramachandra, T. V., & Saira, V. K. 2004. Environmentally Sound Options for E-Waste Management. Envis Journal of Human Settlements, 5 March. Sakawi, Z. 2011. Municipal Solid Waste Management in Malaysia: Solution for Sustainable Waste Management. Journal of Applied Sciences in Environmental Sanitation, 6 (1): 29-38. STB. 2007. Sabah Visitor Arrival by Nationality. http://www.sabah.gov.my|http://www.sabah.gov.my accessed on 15 September 2013. Sandakan Municipal Council. 2010. (Anti-Litter) By-Laws, 1984, repealed by Uniform (Anti- Litter) By-laws, 2010. http://www.mps.gov.my|http://www.mps.gov.my accessed on 1 August 2013. Tawau Municipal Council. 2010. (Anti-Litter) By-Laws, 1984, repealed Uniform (Anti-Litter) By-Laws, 2010. http://www.mpt.gov.my|http://www.mpt.gov.my accessed on 1 August 2013. Tchobanoglous, G. H., & Theisen, S. A. 1993. Integrated Solid Waste Management: Engineering Principles and Management Issues. McGraw Hill International Editions, Civil Engineering Series 6. Mcgraw Hill Inc., Singapore. Tarmudi, Z., Lazim. M. A., & Abu Osman, M. T. 2009. An Overview of Municipal Solid Wastes Generation in Malaysia. Jurnal Teknologi, 51 (F): 1-15. ABSTRACT.Objectives of this study are to determine the rock mass quality and support estimate for a single lane railway tunnel by using rock mass classification system at km 137.1 Tenom, Sabah. The study area is underlain by the Late Eocene – Early Miocene Crocker Formation. Rock Structure Rating (RSR), Rock Mass Rating (RMR) and Rock Mass Quality (Q) systems are selected rock mass classification for this study. Field study includes geological mapping and discontinuity survey. Laboratory analysis are petrographic study and point load test. Data analysis are kinematic analysis and RSR, RMR and Q systems parameter values evaluation and calculation. The result shows that rock mass quality of RSR, RMR and Q systems are 80, 77 (good) and 2.12 (poor), respectively. Support estimate for RSR is 25mm diameter spot rock bolts. RMR are 20mm diameter, 3m length and 2.5m spacing systematic rock bolts with occasional wire mesh and 50mm shotcrete on crown. Installation of steel sets are unnecessary. Support estimate for Q system are 1.5 space of systematic rock bolts with 5cm shotcrete and 1.6-2m space without shotcrete on crown and wall, respectively. Thus, support estimate based on rock mass classification for the tunnel in study area are 20mm diameter, 3m length and 2m spacing of rock bolts, 50mm thick shotcrete on crown and weep hole in western section. KEYWORDS. Rock Mass Rating (RMR), Rock Structure Rating (RSR), Q system, Crocker Formation, Tenom. Barton, N., Lien, R., & Lunde, F. J. 1974. Engineering Classification of Rock Masses for the Design of Tunnel Support. Rock Mechanics, 6 (4): 189-236. Bieniawski, Z. T. 1989. Engineering Rock Mass Classifications. Wiley, New York, 248 p.
Bieniawski, Z. T. 1976. Rock Mass Classification in Rock Engineering. In: Bieniawski, Z. T. (Ed). proc. of the symp. exploration for rock engineering, 1, Cape Town, Balkema, pp. 97-106. Deere, D. U., Hendron, A. J., Patton, F. D. & Cording, E. J. 1967. Design of surface and near surface construction in rock. In: Fairhurst, C (Ed.) Failure and breakage of rock. Proc. 8th U.S. symp. rock mech., New York. Soc. Min. Engrs, Am. Inst. Min. Metall. Petroleum Engineers, pp. 237-302. Grimstand, E. & Barton, N. 1993. Updating of the Q-system for NMT. Proceeding of the International Symposium on Sprayed Concrete, Fagernes, Norway, pp. 46-66.
International Society of Rock Mechanics (ISRM), 1981. Rock characterization, testing and monitoring. In: Brown, E. T. (Ed.). ISRM suggested methods. Pergamon press, Oxford. International Society of Rock Mechanics (ISRM), 2007. The complete ISRM suggested methods for rock characterization, testing and monitoring: 1974-2006. In: Ulusay, R. & Hudson, J. A. (Ed.). Suggested Methods prepared by ISRM Commission on Testing Methods. Ankara, Turkey. Ismail Abd Rahim, Sanudin Tahir, Baba Musta and Shariff A. K. Omang. 2009. Lithological Unit Thickness Approach for determining intact rock strength (IRS) for slope forming rock material of Crocker Formation. Borneo Science. 25, pp. 23-32. Ismail Abd Rahim. 2011. Rock mass classification of the Crocker Formation for rock slope engineering purposes, Kota Kinabalu, Sabah. PhD Thesis. Universiti Malaysia Sabah. Markland, J. T. 1972. A useful technique for estimating the stability of rock slopes when the rigid wedge slide type of failure is expected. Imperial College Rock Mechanics Research Reprint, no. 9. Wickham, G. E., Tiedemann, H. R. & Skinner, E. H. 1972. Support determination based on geologic predictions. In: Lane, K. S. & Garfield, L. A.(Eds). Prosiding North American Rapid Excavation & Tunneling Conference (RETC), Chicago. 1. American Institute of Mining, Metallurgical and Petroleum Engineers (AIME), New York, pp. 43–64. Palmstorm, A. & Broch, E. 2006. Use and misuse of rock mass classification systems with particular reference to the Q-system. Tunnels and Underground Space Technology, pp. 575-593. Palmstorm, A., Blindheim, O. T. & Broch, E. 2002. The Q system – possibilities and limitation (in Norwegian). Proceeding of Norwegian national Conference on Tunnelling, Norwegian Tunnelling Association, pp. 41.1-41.43. University Malaysia Sabah, Jalan UMS, 88400, Kota Kinabalu, Sabah, Malaysia. ABSTRACT.Climate change is a significant change of weather pattern over a long period of time. Malaysia can be vulnerable to such impact, since economics of this region are strongly relies on agriculture and natural sources. This paper simulated the solar radiation and total cloud fraction for Malaysia by the end of 21st century based on the A2 and the B2 scenarios by utilizing the latest generation of the Hadley Centre regional climate modeling system, PRECIS (Providing Regional Climates for Impact Studies). Relative to the baseline scenario, the average increase in solar radiation was by 5 – 12Wm^(-2) under the A2 scenario and by 3 – 10Wm^(-2) under the B2 scenario. The changes were significant at 95% confidence level across most of the land area. The average total fraction over Malaysia was projected to reduce by 0.14 to 0.032 under the A2 scenario and 0.11 to 0.0057 under the B2 scenario compared to the baseline scenario. Significant changes were observed over whole domain of investigation during DJF (December-January-February) under both scenarios. Study results suggest that a significant change in climate variability may potentially increase the climate-related risks such as air quality impact and vulnerability in the region. Ahrens, C. D. 2009. Meteorology Today: An Introduction to Weather Climate and the Environment Ninth Edition. Belmont: Brooks/Cole Cengage Learning. Giorgi, F. & Bi, X. 2005. Regional Changes in Surface Climate Interannual Variability for the 21st Century from Ensembles of Global Model Simulations.Geophyisical Research Letter, 32(13): L13701, doi:10.1029/2005GL023002. Gordon, C. C., Cooper C., Senior, C. A., Banks, H., Gregory, J. M., Mitchell, J. F.B.,& Wood, R. A. 2000. The Simulation of SST, Sea Ice Extents and Ocean Heat Transport in a Version of the Hadley Centre Coupled Model without Flux Adjustment. Climate Dynamics, 16:147-168. Hudson, D. A. & Jones, R. G. 2002.Regional Climate Model Simulations of Present-day and Future Climate over Southern Africa using HadAM3H. Hadley Centre Techncal Note 38, Met. Office, UK. IPCC (Intergovernmental Panel on Climate Change).2000. Emissions Scenarios. (Eds. N. Nakicenovic et al. )Cambridge University Press, Cambridge, UK. IPCC (Intergovernmental Panel on Climate Change).2007. Climate Change 2007: The Physical Science Basis. Contribution of Working Group I to the Fourth Assessment Report of the Intergovernmental Panel on Climate Change [Solomon, S., D. Qin, M. Manning (eds. )].Cambridge University Press, Cambridge, UK. Jones, R. G., Noguer, M., Hassel, D. C., Hudson, D., Wilson, S. S., Jenkins, G. J., &Mitchell, J. F. B. 2004.Generating High Resolution Climate Change Scenarios using PRECIS.Met Office Hadley Centre. Exeter. Klemen, B. 2006.Climate Change Scenarios for Macedonia.Report from University of Nova Gorcia, Centre For Atmospheric Research. Slovenia. Marengo, J. A., Jones, R., Alves, L. M., and Valverde, M. C. 2009.Future Change of Temperature and Precipitation Extremes in South America as derived from the PRECIS Regional Climate Modeling System, International Journal of Climatology, 29(15): 2241-2255, DOI: 10.1002/joc.1863. McGregor, J. L., Katzfey, J. J.,& Nguyen, K. C. 1998.Fine Resolution Simulations of Climate Change for Southeast Asia. Final Report for a Research Project commissioned by Southeast Asian Regional Committee for START (SARCS), Aspendale, Vic. : CSIRO Atmospheric Research. VI, 15, 35pp. Mearns, L. O., Giorgi, F., McDaniel, L.,& Shields, C. 2003.Climate Scenarios for the Southeastern United States. Climate Change,60:7-35. Met Office. 2002. PRECIS-Update 2002 Providing Regional Climates for Impacts Studies. Hadley Centre London Road Bracknell Berkshire RG12 2SY United Kingdom. Met Office. 2010. The PRECIS Regional Climate Modelling System. PRECIS Tutorials: Worksheets from the UK PRECIS Workshop 2010. September 2010, University of Reading, United Kingdom. Ojha, S. & Kumar, A. 2010.A Pilot Study to Develop Forecasting Models for Predicting Hourly Ozone Concentration near Cincinnati, Ohio. Advances in Environmental Research, Vol. 8, Chapter 9, Nova Science Publishers, Inc.
Sentian, J. & Kong, S. S. K. 2013.High Resolution Climate Change Projection Under SRES A2 Scenario during Summer and Winter Monsoons over Southeast Asia using PRECIS Regional Climate Modeling system. SIJ Transactions on Computer Science Engineering & its Applications (CSEA), The Standard International Journals (The SIJ), 1(4):163-173. Sentian, J., MacKenzie, R. A.,& Hewitt, C. N. 2009.Regional Climate Change Modelling in Southeast Asia: Technical report No. 3/7.Lancaster Environmental Centre.University of Lancaster. Uppala, S. M., KÅllberg, P. W., Simmons, A. J., Andrae, U., Da Costa Bechtold, V., Fiorino, M., Gibson, J. K., Haseler, J., Hernandez, A., Kelly, G. A., Li, X., Onogi, K., Saarinen, S., Sokka, N., Allan, R. P., Andersson, E., Arpe, K., Balmaseda, M. A., Beljaars, A. C. M., Van De Berg, L., Bidlot, J., Bormann, N., Caires, S., Chevallier, F., Dethof, A., Dragosavac, M., Fisher, M., Fuentes, M., Hagemann, S., Hólm, E., Hoskins, B. J., Isaksen, L., Janssen, P. A. E. M., Jenne, R., Mcnally, A. P., Mahfouf, J. F., Morcrette, J. J., Rayner, N. A., Saunders, R. W., Simon, P., Sterl, A., Trenberth, K. E., Untch, A., Vasiljevic, D., Viterbo, P., and Woollen, J., 2005. The ERA-40 Re-analysis. Quarterly Journal of the Royal Meteorological Society, 131: 2961-3012. http://dx.doi.org/10.1256/qj.04.176. Uppala, S., Dee, D., Kobayashi, S., & Simmons, A. 2005.Evolution of Reanalysis at ECMWF.European Centre for Medium-Range Weather Forecasts, United Kingdom. Von Storch, H. & Navarra, A. 1995.Analysis of Climate Variability.Applications of Statistical Techniques.Springer, Berlin Heildelberg New York Barcelona Budapest Hong Kong London Milan Paris Tokyo ,pp 334. Wilson, S., Hassell, D., Hein, D., Jones, R.,& Taylor, R. 2011.Installing and Using Hadley Centre Regional Climate Modeling System PRECIS. Ver 1.9.3 (Technical Manual). 88624 Kota Kinabalu, Sabah, Malaysia. Universiti Malaysia Sabah, Jalan UMS, 88400 Kota Kinabalu,Sabah, Malaysia. ABSTRACT. The northern part of Sabah is largely formed by the proposed Tun Mustapha Park (TMP). It is also as a part of Priority Conservation Areas (PCA) in the Malaysian side of Sulu-Sulawesi Marine Ecoregion (SSME) and known as Kudat-Banggi PCA. It has been recognized to be one of globally significant and outstanding in term of marine ecosystems, biodiversity and identified as a route for turtle from the South China Sea to Sulu Sea. Fisheries activities are among the important source of income to coastal communities and have contributed to higher fish and prawn landing in Sabah. The objective of this study is to access fisheries activities and their impact on turtles. The study was carried out through a combination of survey interviews and observation field trips on fishing boats. Interviews were conducted to the main fishing gears (gill nets, shrimp and fish trawl net) used within this area from October 2007 to October 2008 (one year). Onboard observations on gill net fishing field trips near the main town of Banggi, Karakit and coastal villages were carried out between October 2008 and March 2009. As results, 79 fishers operating with gill nets were interviewed while 95 and 41 fishers working on board shrimp trawl net and fish trawl net boats, respectively. There was 116 gill net fishing field trips have been carried out. Turtles were sighted within the fishing grounds and an estimated maximumtotal of 1326.6 turtles per year are accidently catch by fishers. Turtle bycatch was 66.1% from gillnets, 25.9% from fish trawl net and 8% by shrimp trawl. Most turtles reported to be bycatch by fishing gears were located in near shore waters of the islands which are important as fishing ground in TMP. The information gathered from this study support the establishment of the proposed TMP which is importance for the planning and future management plan of the area. Also, the information on status of the fishing gears used by the fishers is needed for marine resources conservation program to the coastal communities. Aziz, A. A, 2011. Feasibility Study on Development of a Wind Turbine Energy Generation system for Community Requirements of Pulau Banggi Sabah. Universiti Teknologi Malaysia. Beliku, J., Saleh, E., and Dacho, N. 2012. Fishing Gear and Hot Spot Areas in Proposed Tun Mustapha Park, Kudat, Sabah in International Seminar on Marine Science and Aquaculture Sustainable Development & Management of Aquatic Resources in a Changing Climate on 13-15 March 2012(abstract). Kota Kinabalu, Sabah. Chan, E. H, 1991. Sea Turtle. The State of Nature Conservation in Malaysia. Malayan Nature Society, Kuala Lumpur. P. 120-134. Cooke, F. M. 2003. Living at the Top End: Communities and Natural Resources Use in the Kudat/ Banggi Region of Northern Sabah. WWF Malaysia, Kota Kinabalu. DOFS (Department of Fisheries Sabah), 2006. Kudat Department of Fisheries Data. DOFS (Department of Fisheries Sabah), 2008. Annual Fisheries Statistics 2008. Jabatan Perikanan Sabah. 11 – 134. Hin, C. L. K, 2010. Status of Sea Turtle Resources and Coral Reefs of Maliangin Island Sanctuary, Kudat, Sabah. Master Thesis. Universiti Malaysia Sabah. Lutz, P. L. and Musick, J. A, 1996. The Biology of Sea Turtles. Boca Raton: CRC Press. Lutz, P. L., Musick, J. A. and Wyneken, J, 2003. The biology of Sea Turtle, volume 2. Boca Raton: CRC Press. SEAFDEC (Southeast Asian Fisheries Development Center), 2011. Regional Plan Of Action of Sea Turtles Foraging Habitats in Southeast Asian Waters Report. SEAFDEC. WWF, 2006. Banggi Environmental Awareness Centre (BEAC) – Turtle Project. http://www.panda.org/ accessed on 28 November 2012. ABSTRACT. This study was conducted to determine the feasibility of using juvenile Acacia hybrid in manufacturing biocomposite boards. The mechanical, physical and fungal resistance properties of the boards produced were determined. The four year-old Acacia hybrid was obtained from several clones. The particleboards and medium density fibreboards (MDF) were manufactured at a target density of 750 kg/m3 and resin levels of 6, 8 and 10%. The results indicated that all particleboards and MDF complied with the Particleboard- specifications (BS EN 312:2010) and the Fibreboard specifications: Requirement for dry process boards (MDF) (BS EN 622-5: 2009, respectively. The fungal resistance properties of particleboard and MDF showed better in resistance compared to particleboard. The mechanical and physical properties of the particleboard were compared with the A. mangium particleboards. Lemmens, R. H. M. J., Soerianegara, I., & Wong, W. C. 1995. Plant Resources of South-East Asia No. 5(2): Timber Trees: Minor Commercial Timbers. Backhuys Publishers, Leiden: 655. Mohd Shukari, M., Ab. Rasip, A.G., & Mohd Lokmal, N. 2002. Comparative Strength Properties of Six-year-old Acacia Mangium and Four-year-old Acacia Hybrid. Journal of Tropical Forest Products, 8(1): 115-117. Razali, A. K., Abd Khalil, K. P. S., & Paridah, M. T. 1993. Properties of particleboard manufactured from less-used species: Mallotus Macrostachys (Balek Angin). Conference on Forestry and Forest Products Research 1993: 193-199. Sedgley M., Harbard, J., Smith, R. M., Wickneswari, R., & Griffin, A. R. 1992. Reproductive Biology and Interspecific Hybridisation of Acacia Mangium Willd and Acacia Auriculiformis A. Cunn. Ex Benth Australian Journal of Botany, 40: 37-48. Skelton, D. J. 1987. Distribution and Ecology of Papua New Guinea Acacias. ACIAR Proceedings, no. 16: 38-44. Wickneswari, R. 1989. Use of Isozyme Analysis in a Proposed Acacia Mangium x Acacia Auriculiformis Hybrid Seed Production Orchard. 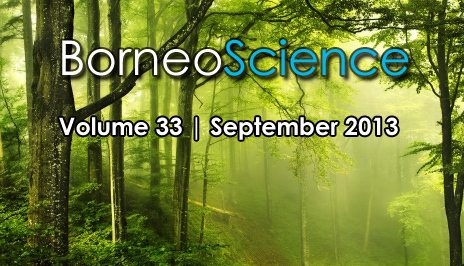 Journal of Tropical Forest Science, 2(2):157-164. Yamada, N., Khoo, K. C., & Mohd Nor, M. Y. 1992. Sulphate Pulping Characteristics of Acacia Hybrid, Acacia Mangium and Acacia Auriculiformis from Sabah. Journal of Tropical Forest Science, 4(3): 206-214. PHYTOREMEDIATION USING Typha angustifolia L. FOR MINE WATER EFFLUENCE TREATMENT: CASE STUDY OF EX-MAMUT COPPER MINE, RANAU, SABAH. ABSTRACT. This research was carried out to determine the capability of Typha angustifolia L. for accumulation of seven heavy metals (Cd, Cr, Cu, Fe, Ni, Pb and Zn). Typha angustifolia were planted in-situ in the tanks filled with mine water effluence (MWE) from the abandoned copper mine pit. The concentration of heavy metals in three replicates of plant root, stem and leaves were determined at Day 0 and Day 60. Samples of plant tissue were digested using hot concentrated nitric acid and the amounts of heavy metals were determined using Atomic Absorption Spectrometer (AAS). The results showed that at Day 60, the concentrations of heavy metals were decreased in all plant part, except Fe and Cu were increased and Cr was increased in root and stem part.The results obtained from this research can be used as a fundamental data in maximizing the potential usage of T. angustifolia for mine water effluence (MWE) treatment at the ex-Mamut copper mine. Allen, S. E. 1989. Analysis of Ecological Materials, second ed. Blackwell Scientific Publications, Oxford. Baker, A. J. M. & Brooks, R. R. 1989. Terrestrial Higher Plants which Hyperaccumulator Metallic Elements. A Review of Their Distribution, Ecology and Phytochemistry. Biorecovery, 1(2): 81-126. Carranza-Álvarez, C., Alonso-Castro, A. J., Torre, M. C. A. L., & Cruz, R. F. G. L. 2008. Accumulation and Distribution of Heavy Metals in Scirpusamericanus and Typhalatifolia from an Artificial Lagoon in San Luis Potosi, Mexico. Water, Air, Soil Pollut, 188: 297-309. Demirezen, D. & Aksoy, A. 2004. Accumulation of Heavy Metals in Typhaangustifolia (L.) and Potamogetonpectinatus (L.) Living in Siltan Marsh (Kayseri, Turkey). Chemosphere, 56(7): 685-696. Gandonou, C. B., Bada, F., Gnancadja, S. L., Abrini, J., & Skali-Senhaji, N. 2011. Effects of NaCl on Na⁺, Cl⁻ and K⁺ Ions Accumulation in Two Sugarcane (Saccharum sp.) Cultivars Differing in Their Salt Tolerance. International Journal of Plant Physiology and Biochemistry, 3(10): 155-162. Ghaly, A. E., Snow, A., & Kamal, M. 2008. Manganese Uptake by Facultative and Obligate Wetland Plants Under Laboratory Conditions. American Journal of Applied Sciences, 5(4): 392-404. Kabata-Pendias, A. & Pendias, H. 1984. Trace Elements in Soils and Plants. CRC Press, Florida. Levy, D. B., Redente, E. F., & Uphoff, G. D. 1999. Evaluating the Phytotoxicity of Pb–Zn Tailings to Big Bluesteam (Andropogon gerardii vitman) and Switchgrass (Panicum virgatum L.). Soil Sci, 164: 363–375. Raskin, I., Nanda, K. P. B. A., Dushenkov, S., & Salt, D. E. 1994. Bioconcentration of Heavy Metals by Plants. Current Opinion in Biotechnology, 5(3): 285-290. Solti, A., Sarvari, E., Toth, B., Basa, B., Levai, L., & Fodor, F. 2011. Cd Affects the Translocation of Some Metals Either Fe-like or Ca-like Way in Poplar. Plant Physiology and Biochemistry, 49(5): 494-498. Stoltz, E. & Greger, M. 2002. Accumulation Properties of As, Cd, Cu, Pb and Zn by Four Wetland Plant Species Growing on Submerged Mine Tailings. Environmental and Experimental Botany, 47(3): 271-280. Taylor, G. J. & Crower, A. A. 1983. Uptake and Accumulation of Heavy Metals by Typhalatifolia in Wetlands of the Sudbury, Ontario Region. Canadian Journal of Botany, 61(1): 63-73. Vangronsveld, J., Herzig, R., Weyens, N., Boulet, J., Adriaensen, K., Ruttens, A., Thewys, T., Vassilev, A., Meers, E., Nehnevajova, E., van der Lelie, D., & Mench, M. 2009. Phytoremediation of Contaminated Soils and Groundwater: Lessons from the Field. Environmental Science and Pollution Research, 16(7): 765-794. Wei, S. H., Zhou, Q. X., & Wang, X. 2005. Identification of Weed Plants Excluding the Uptake of Heavy Metals. Environment International, 31(6): 829-834. Welch, R. M., Norvell, W. A., Schaefer S. C., Shaff, J. E., & Kochian, L. V. 1993. Induction of Iron (III) and Copper(II) Reduction in pea (Pisumsativum L.) Roots by Fe and Cu Status: Does the Root-cell Plasmalemma Fe(III)-chelate Reductase Perform a General Role In Regulating Cation Uptake? Planta, 190: 555-561. Wieteska, E., Zioek, A., & Drzewinska, A. 1996. Extraction as a Method for Preparation of Vegetable Samples for the Determination of Trace Metals by Atomic Absorption Spectrometry. Analytica ChimicaActa, 330(1-2): 251-257. Yang, X., Feng, Y., He, Z., & Stoffella, P. J. 2005. Molecular Mechanisms of Heavy Metal Hyperaccumulation and Phytoremediation. Journal of Trace Elements In Medicine Biology, 18(4): 339-353. Yoon, J., Cao, X. D., Zhou, Q. X., & Ma, L. Q. 2006. Accumulation of Pb, Cu, and Zn in Native Plants Growing on a Contaminated Florida Site. Science of the Total Environment, 368(2-3): 456-464. ABSTRACT. Human activities surrounding natural rivers may cause its profile area to change in terms of depth and size. The objective of this study was to investigate the land use and land cover (LULC) changes and its impacts towards the soil stability on the sediment loading. Two satellite images Landsat 5 for year 1991 and Spot 5 for year 2010 were classified using remote sensing and Geographic Information System (GIS) which describe the land cover and land use change (LULC) within 20 years of time for the river sub-catchment. The study area was classified into seven categories on the basis of field study and remote sensing data. From the images, the land use alteration was dominated by palm oil with an increase of 16.84% and rubber plantation showed a declination of 31.29%. Meanwhile for land cover, cleared land area show the highest alteration with an increase of 22.63% while forest area showed declination with 18.68%. By using statistical methods, the trend analysis of suspended sediment was performed by One Way ANOVA with post-hoc comparisons test and the results showed that the suspended sediment concentration has increased by 10.07% (15.69 mg/L) from 1991 to 2010. This study shows that the conversion of forest and rubber areas to palm oil and urbanized area around the sub-catchment area have increased the sediment contribution to Sg. Padas, Beaufort. Ab. Ghani, A. 2008. Pengurusan Sungai Mapan: Dari Perspektif Kejuruteraan Pengangkutan Endapan dan Keseimbangan Sungai. Penerbit Universiti Sains Malaysia. Pulau Pinang, Malaysia. ARSM, 2011. Land Use and Land Cover Mapping. Kementerian Sains, Teknologi dan Inovasi (MOSTI). Kuala Lumpur, Malaysia. Alansi, A. W., Amin, M. S. M., Halim, G. A., Shafri, H. Z. M., Thamer, A. M., Waleed, A. R. M., Aimrun, W., & Ezrin, M. H. 2009. The effect of development and land use change on rainfall-runoff and runoff-sediment relationships under humid tropical condition: Case study of Bernam Watershed Malaysia. European Journal of Scientific Research, 31(1): 88 – 105. Chen, X., Bao, S., Li, H., Cai, X., Guo, P., Wu, Z., Fu, W., & Zhao, H. 2007. LUCC impact on sediment loads in subtropical rainy areas. Photogrammetric Engineering & Remote Sensing, 73 (3): 319 – 327. Department of Statistic Malaysia, Annual Rubber Statistic 2011: LGM Properties Corporation. Kuala Lumpur, Malaysia. Dinor, J., Nor Azazi Zakaria, Rozi Abdullah, & Ab. Ghani. A. 2007. Deforestration Effect to the Runoff Hydrograph at Sungai Padas Cathment. 2nd International Conference on Managing Riversin the 21st Century: Solution towards Sustainable River Basins, 6-8 June, 2007, Riverside Kuching, Sarawak, Malaysia, ms. 351-359. FAO/UNEP, Negotiating a Sustainable Future for Land. Structural and Institutional Guidelines for Land Resources Management in the 21st Century, FAO/UNEP, Rome, 1997. Foster, I., Gurnell, A., & Webb, B. 1995. Sediment and Water Quality in River Catchments. John Wiley and Sons Ltd. West Sussex, England. Khaled Saleh Yaslam Bawahidi. 2005. Intergrated Land Use Change Analysis for Soil Erosion Study in Ulu Kinta Catchment. Universiti Sains Malaysia. Lai, S. H., Amin, M. S. M., Law, P. L., & Mah, Y. S. 2007. Application of Remote Sensing in the Hydrological Study of the Upper Bernam River basin, Malaysia. The Institutions of Engineers, Malaysia, 69(1): 13-18. Lambin E. F., & Geist H. J. 2006. Land- Use and Land-Cover Change: Local Process and Global Impacts. Springer. New York, USA. Lillesand, T. M., & Kiefer, R. W. 1994. Remote sensing and Image Interpretation. 3rd Ed. New York: John Wiley and Sons. Mohd. Ekhwan Toriman, Khairul Amri Kamarudin, Mushrifah Hj Idris, Nor Rohaizah Jamil, Muhammad Barzani Gazim, & Nor Azlina Abd Aziz. 2009. Sediment Concentration and Load Analyses at Chini River, Pekan, Pahang Malaysia. Research Journal of Earth Sciences, 1(2): 43-50. Mohd. Ekhwan Toriman, Othman A. Karim, Mazlin Mokhtar, Muhd. Barzani Gazim, & Md. Pauzi Abdullah. 2010. Use of Infowork RS in Modeling the Impacts of Urbanisation on Sediment Yield in Cameron Highlands, Malaysia. Nature and Science, 8 (2): 67-73. MRB, 2010. Annual report 2010: LGM Properties Corporation. Kuala Lumpur, Malaysia. Weng, Q. 2002. Land Use Change Analysis in the Zhujiang Delta of China Using Satellite Remote Sensing, GIS and Stochastic Modeling. Journal of Environmental Management, 64: 273–284.